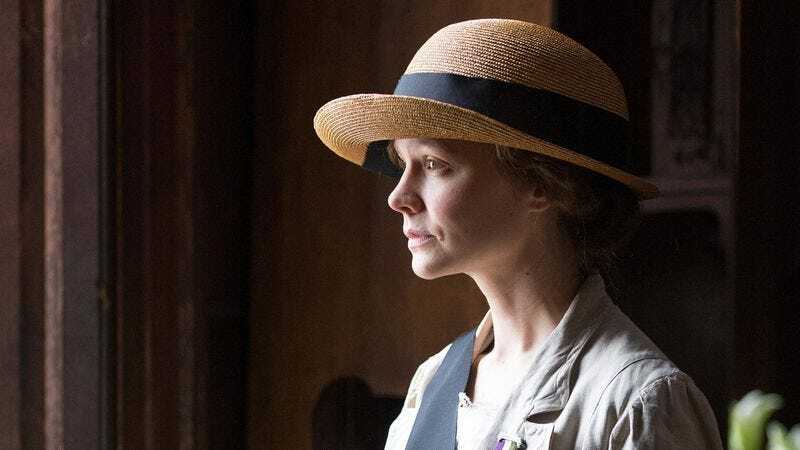 She went to school in the ’60s, wooed suitors in the late 1800s, felt heartbreak in the not-too-distant future, and, this year, Carey Mulligan continues her cinematic time-traveling in Suffragette. In director Sarah Gavron’s London-set drama, Mulligan plays Maud Watts, an over-worked wife who finds inspiration and purpose in the burgeoning feminist movement. Suffragette has already hit Chicago theaters and, if you’d like to see it for free, The A.V. Club has an opportunity for you to win a pair of ROE passes to see it at any Chicago-area Landmark Theater. For your chance to win, simply follow the link here and enter your information. Winners will be notified via email. Note: ROE passes will work at Landmark Theaters only, beginning on Monday, November 9, and are valid Mondays through Thursdays, excluding holidays. An official plot synopsis and trailer for the film can be found below.